BlooDireX PCR™ System | GeneDireX, Inc.
non-mutagenic fluorescent reagent that produces instant visualization of DNA bands upon blue light (e.g. BLooK, BK001) or UV illumination of agarose gels. Supplied in 6X DNA Loading Buffer, Novel Juice is used to prepare DNA markers or samples for loading on agarose or polyacrylamide gels. 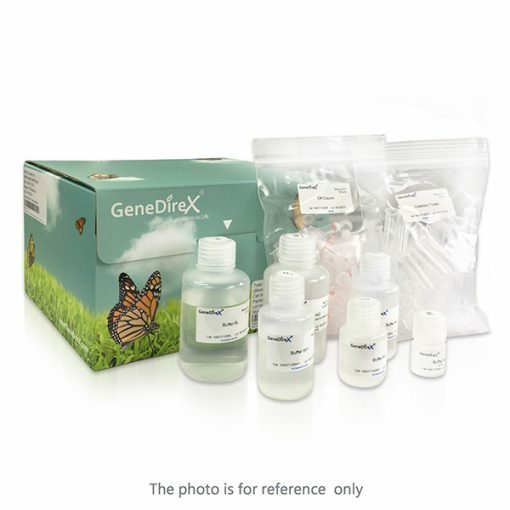 Novel Juice is the most sensitive staining reagent available for detecting the double-stranded DNA (dsDNA). It contains three tracking dyes (bromophenol blue, xylene cyanol FF, and orange G) for visually tracking the DNA migration during the electrophoresis process. 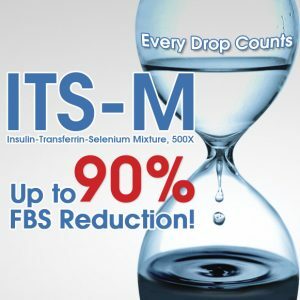 It is ideal for the environment requiring a safe, non-hazardous alternative to Ethidium Bromide (EtBr). Approximate fluorescence excitation / emission: 300, 495 / 537 nm, bound to nucleic acid. ample is added directly to PCR reaction, therefore there is no need for time-consuming and expensive DNA purification steps. Master Mix format with premixed gel loading dye minimizes possibility of cross-contamination, reduces sample handling time and allows directly loading to gel. Amplify fragment size: up to 5 kilo base. High speed: 15-30 seconds/ kilo base. Cat No. 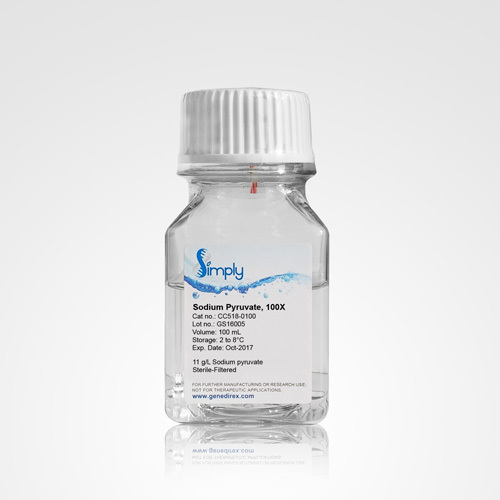 CC518-0100 Size: 100 mL MSDS Description Contains 11 g/L sodium pyruvate in purified water.